Extra humiliation for Alvas Powell during his side's 4-1 defeat. 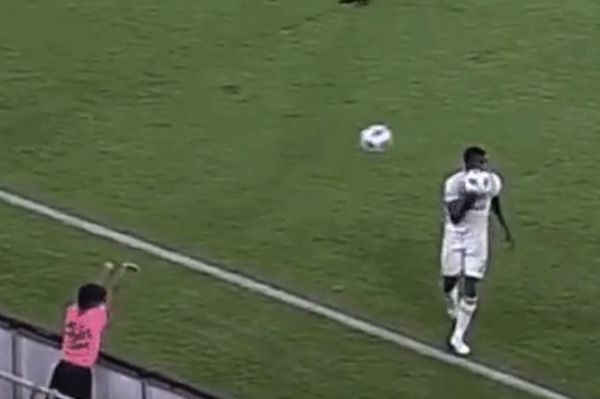 A ball boy knocked a ball out of the hands of a player preparing to take a throw-in by throwing another ball at him during DC United v Portland Timbers. Portland right-back Alvas Powell was subjected to this extra humiliation to go with his side’s 4-1 defeat, in which Wayne Rooney scored twice. Rooney’s latest heroics come just days after he retrieved the ball in brilliant fashion to set up a dramatic late winner against Orlando City.